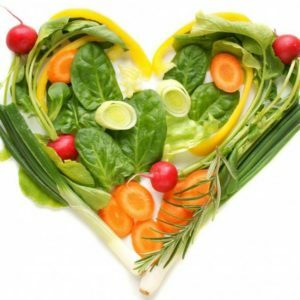 Raw Vegetarians: – This type of raw food consumer only eats raw vegetables. Only eggs and some dairy products are consumed as part of the animal diet. Raw Vegans: – This type of raw food consumer only eats raw vegetables. No animal products at all are consumed by them. Raw Omnivores: – This type of raw food consumer eats both animals and plant foods but only in raw form. Raw Carnivores: – This type of raw food consumer only eats raw meat. No plant products are consumed at all. The items that we considering as raw food are dry fruits, beans, grains, seeds, seaweeds, sun-dried fruits, fresh vegetables, fresh fruits, fresh juices, nuts, purified water, legumes, coconut milk, and unprocessed foods. Besides that, some other items such as eggs, meat, fish, and milk along with a few other dairy products are also considered to be raw food. Most experts believe that the raw food diet benefits are quite enormous. The most commonly known raw food diet benefits are, weight loss, and body weight maintenance. Besides that, recent research on the benefits of raw food diets also revealed that raw food consumers have a stronger ability to fight disease. The theory of believing that raw food is beneficial for the human body follows a simple line of reasoning. When we cook food, all of the essential enzymes, and other minerals are destroyed. When we consume raw food, we don’t need our own digestive enzymes to digest the food, as there are digestive enzymes already available in the raw food. Most of the essential enzymes are destroyed during the cooking process, and as a result, we either have to rely on our own digestive ability, or we have to face digestive problems. It is a proven fact that cooked food takes longer to digest as compared to raw food. Besides the above mentioned raw food diet benefits, following are some other advantages of consuming raw food. When you eat food in raw form, you will get more energy from that food. Your digestion system improves considerably because of the consumption of raw food. The appearance of your skin also improves considerably. Your body weight remains under control. The risk of heart related problems such as heart attack, and other cardiovascular diseases are severely reduced. Though raw food is good for your health, there are certain potential threats that are also attached to the consumption of raw food which you need to be aware of. When you consume kidney beans, they often have toxins in them, therefore, you should avoid kidney beans. Some types of cassava and cassava flour contain toxins. Raw eggs can cause some digestion problems. There are harmful bacteria present in raw meat. However, the raw food diet benefits far outweigh the potential threats. Consider using it to have the ultimate healthy lifestyle!